That is the entire report of the Sports held on 6th June, 1891 – apart from the results of course. There were twelve Heats of the 100 yards and there were several well known names among the Heat winners. 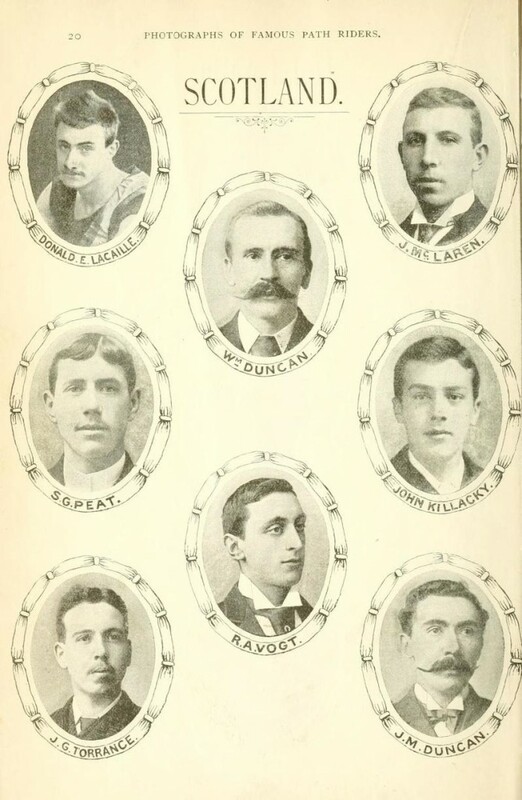 eg Finlayson of Queen’s Park (4 yards), Alf Downer of Watson’s (6 yards), W Maley of Celtic (5 yards), T Maley of Celtic (2 yards), JS Weir, Milngavie Club (2 1/2 yards) and H Espie, Glasgow Academicals (5 yards). There were four semi finals and the first three in the final were Lander (EUAC), Carswell (Clydesdale FC) and Young (WSH). 27 started in the mile with holder, ‘the veteran Duncan’ off scratch. It was won by J Hindle of St Mirren off 70 yards from JS Morrison of Edinburgh Harriers 40 yards, and Charles Pennycook, Clydesdale Harriers off 25 yards. The 440 was an interesting race in that John Blane of Clydesdale Harriers, a noted miler, was was running off 15 yards. The final was won by Woodburn (WSH)from Currie (unattached) and Young (WSH). The half mile was won by Morrison of Edinburgh (15) from Malcolm of Clydesdale Harriers (10). J Gow of Rangers won his Heat of the 120 yards hurdles but as he ‘skipped a hurdle’ he was disqualified, the race going to Carswell of Clydesdale Football Club. The 600 yards race was won by Hindle (St Mirren) running from 15 yards from T Blair (QPFC) who was scratch man. 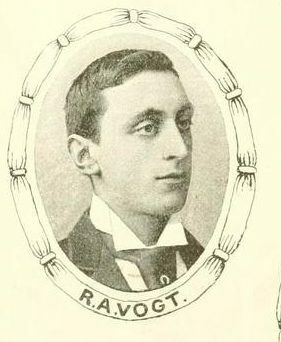 The high jump was won by R Williams of EUAC, There were also several good cycle races with top men such as RA Vogt competing. It had been a good day and takings amounted to £170 and the attendance was a record for an athletic meeting. 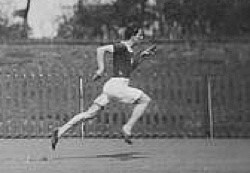 Hugh Barr, Clydesdale Harriers, international long jumper, won the 100 yards. NA MacLeod was second and the comment was that all three had physiques far above the average. 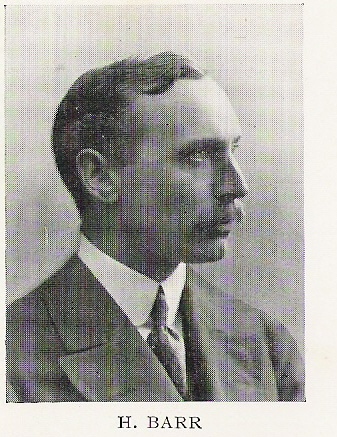 George Woodburn (WSH) won the 440. Two runners were conspicuous by their absence: JR Gow (Rangers) missed the 120 yards hurdles because he felt a bit stiff, and sprinter McCulloch missed the train from Helensburgh. Mitchell beat Malcolm in the 880 yards, both of scratch, in 2 min 01 3-5th sec. Pennycook we see has resorted to hils old style of throwing his head back. This means a loss of about 30 yards in the mile. and we would advise him to adopt the style he was running in early in the season. The handicapper also came in for some criticism: the winner of the miles was Gavin Stevenson and Pennycoock had said it was useless to try to beat him. The ‘Referee’ said this showed wisdom: apparently they had both started off scratch earlier in the season and now Stevenson was off 40 yards. “It seems inexplicable,” said the reporter. Although the sports had been a success, the club itself came in for some criticism: the pavilion was quite inadequate to accommodate all the participants and the recommendation was that the tent should again be called into requisition. “All the work of the past month , the care bestowed on the track by Mr Geake, the perfect arrangements made by the secretary and committee for the successful working of the annual carnival at Hampden, and the presence of a large number of the youth and beauty of Crosshill, Langside &c, had no effect on Jupiter Pluvius, who, at the worst possible hour of the afternoon, made his unwelcome appearance, and succeeded in completely spoiling the financial success of the sports. But although the QP executive were robbed of financial success, so well deserved, that not even J.P. could rob them of an athletic triumph achieved under conditions which might have damped the ardour of the most enthusiastic. That’s twice in two meetings that the reporter has mentioned the ‘youth and beauty’ of Crosshill and Langside! It was in many respects quite an amazing meeting. For instance the committee had decided to run ten men in each heat of the 100 yards. “It was a striking scene to see the sprinters tearing down the turf in such numbers.” They were lucky in that the wind and rain were behind them; the final was won to everyone’s surprise by Gordon of Hamilton Academicals from Frame of Carluke Beagles. 49 men were on the cinder track, in the rain for the Mile, won by McMorrow of WSH and Celtic FC. The Long Jump was won by WC Taylor (handicap allowance of 1′ 9″) from T Vallance, a nephew of the jump record holder. AAG Stronach was second in the high jump to Carr of Maryhill Harriers. But all was not well in the world of athletics and there was a split between the biggest and most powerful club in the land, Clydesdale Harriers, and the SAAA which led to the former setting up an opposition organisation called the Scottish Amateur Athletic Union. There were rival meetings and there were two Scottish Championships held in Glasgow on 22nd June, 1895: SAAA at Hampden and SAAU at Ibrox. There was also an SAAA sponsored meeting at Hampden on 3rd June. If there was a separate QPFC meeting in 1895, it was not in May or June. The assumption is that it was just squeezed out, a victim of a feud not of their making. 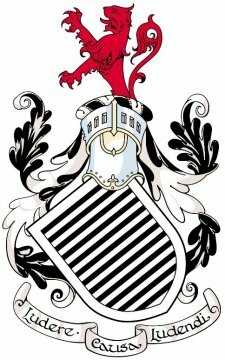 There does not seem to have been a QPFC Sports in 1896 either – the Govan Police Sports at Ibrox on the first Saturday and the Glasgow Police Sports on the second Saturday along with the Clydesdale Harriers Sports on the same day were the only meetings in Glasgow in the first half of the month.